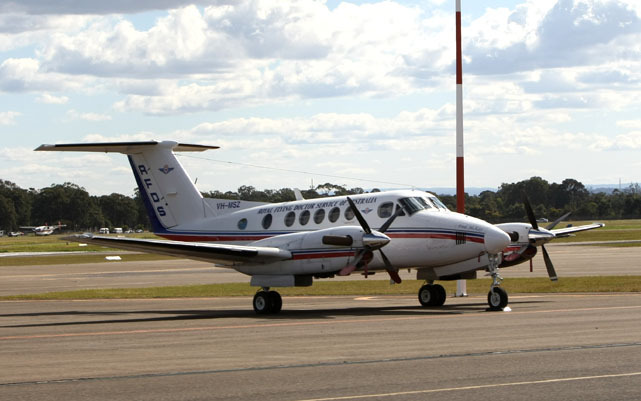 The Royal Flying Doctor Service Queensland Section (RFDS Qld) will train its Beechcraft King Air pilots at a flight simulator facility on the Sunshine Coast. The Beechcraft King Air 350i flight simulator, which is convertible to a B200 full flight simulator, is a partnership between Universal Training Systems (UTS) and Ansett Aviation Training Australasia and is expected to be fully operational by November. Universal founder Steve Padgett said the King Air simulator would join the company’s Cessna Citation Mustang Simulator at its Sunshine Coast Airport facility. “This will add to the existing customer support programs established in the region by Universal, aircraft manufacturer Textron and the distributor for Beechcraft in the region, Hawker Pacific,” Padgett said in a statement. The simulator would be feature Rockwell Collins Pro Line 21 avionics, TRU Simulation and Training’s REALCueTM motion system, advanced ADAS-X digital audio system and front projection display system. “The device is expected to be qualified to CASA Level D FFS standards,” Universal and Ansett said in a joint statement on Tuesday. RFDS Qld, one of the nation’s largest King Air operators, is the launch customer for the simulator and its chief executive Nino Di Marco said the Sunshine Coast-based simulator would help save time and costs for pilot training. “Being able to conduct the training for our pilots and engineers at the Sunshine Coast Airport allows the RFDS to significantly reduce the expenditure and time that would otherwise be incurred with having to perform this training in an alternate location whilst ensuring that the training the pilots receive is world class,” Di Marco said in a statement. For Ansett, the addition of a Sunshine Coast simulator continues the company’s recent expansion. The company recently opened its first overseas facility in Taiwan as part of a joint-venture with Apex Flight Academy, with Tigerair Taiwan a customer, while there were plans to extend its reach into Europe with a facility at Milan’s Malpensa Airport. It has 13 simulators in operation at its main Melbourne Airport base. Universal would provide a client specific training syllabus as well as regulation check and training. “We are excited to be partnering with Steve and his team at UTS in being able to place this simulator in a location that best suits all of the King Air operators in Australia,” Ansett chief executive David Garside said. There is no such company as “Royal Australian Flying Doctor Service” ! Our apologies. The title has been changed.